High waist jeans are a very special piece of outfit. Some women are very hard to convince to wear them. Whether is the fear of not looking perfect or they don’t know how to match them. 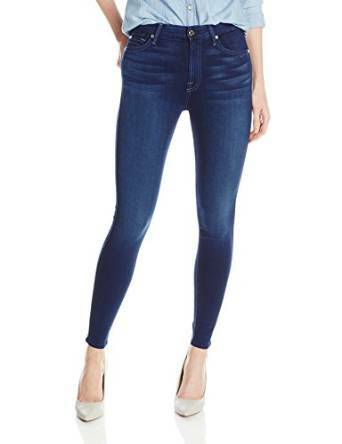 This type of jeans is among the favorites of fashion designers for a long time now and lately they slowly began to be worn by more and more women. 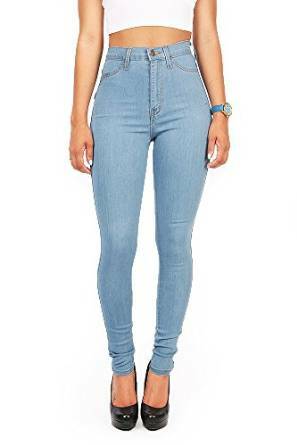 Many are saying that high waist jeans are actually a must-have and that they have a fantastic power of hiding some physical faults and to highlight your silhouette. It is very important for you to know exactly how you want to look in the end, what you want to hide and what you want to highlight from your body. –	Wear high waist jeans with a simple T-shirt and a cardigan. You will look cool and relaxed. –	Try to wear high waist jeans with a short top and a chic leather jacket. –	Do not avoid shirts because, with a little creativity, they can be worn with a pair of high waist jeans. No matter what combo you will choose, important is to feel good wearing that outfit, to be satisfied by your look and, of course, to feel comfortable.